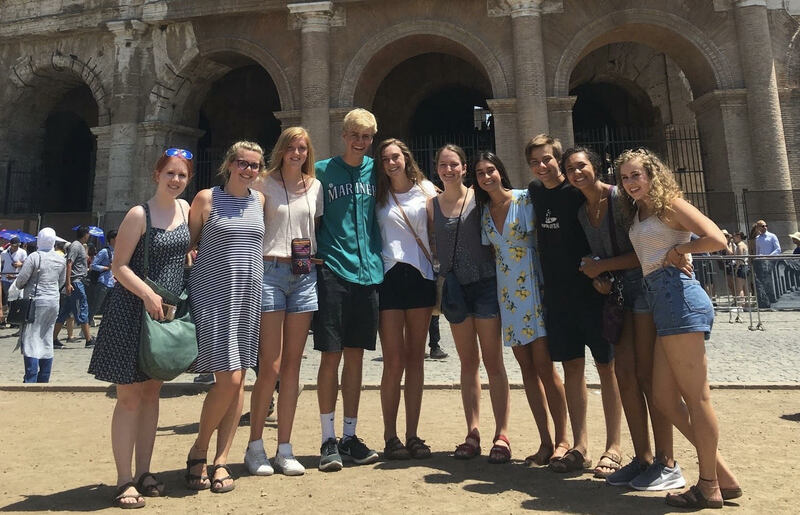 The Spokane-Cagli sister city student exchange program is a two week deep cultural immersion in the beautiful Italian medieval city of Cagli in the Apennine Mountains and the renaissance cities of Urbino and Gubbio. Students will be on the ancient Via Flaminia from Rome to the Adriatic Sea, where this unique opportunity will give you the tools to acquire practical language and transmedia skills while using proven cultural immersion techniques. Understand the role of communication and culture and build your intercultural competence working with diverse populations. Develop an awareness and sensitivity to cultural norms and expectations as they are similar to and different from American cultural values, then use this learning in the development of a multimedia project on some aspect of the community. Understand a culture from an insider’s perspective and build your capacity for empathy. Demonstrate the mechanics and artistry of communication media, then use these skills to tell a narrative about the community in web and book format. Hidden from tourists among the Apennine Mountains in the Marche region of central Italy, Cagli offers a unique opportunity to explore authentic Italian life. Cagli has a rich history dating back well over 2,000 years. It became part of the Roman Empire in 295 BC and quickly grew in prominence as a vital stop on the ancient Via Flaminia, one of Rome’s earliest and most important roads. Though its history is apparent throughout the town, Cagli boasts a rich modern social scene, with summer concerts and festivals and one of the region’s most beautiful theaters. This city of 9,000 residents is also home to numerous churches, chapels, grocery stores, cafés, restaurants, artisanal shops, soccer fields, a bocce ball club and a hospital. Other outdoor activities include hiking, biking and swimming. Applicant must be a high school junior or senior in the fall of 2019. Applicant must complete application and submit references as required by April 26, 2019. Must have a valid passport that has an expiration of at least 6 months after the dates of travel. Must have completed at least one year of a foreign language. Dates of travel July 1 – July 16, 2019. Expenses estimated at $2,400 including airfare. Partial scholarships are needs based and available for those who qualify through funding from Mayor David Condon’s Our Town Gala. You can apply for this scholarship by completing this application . Dr. John Caputo, Director, Spokane-Cagli Sister City Organization and Department of Communication and Leadership Studies at Gonzaga University. Contact Dr. Caputo at jcaputo1@mac.com. Mr. Darcy Caputo to accompany students as chaperone. Contact Susan Nelson, Executive Director, Chase Youth Foundation/Chase Youth Commission at chaseyouthspokane@gmail.com. Click here for reference form.